If there is one lesson you have seen from the recent near-conflict which has broken out in Catalonia surrounding their illegal independence referendum, it is that European leaders have a new problem to add to their quiver full of them. Keeping down the independence-minded separatist regions will not be easy, particularly in a closer integrating European Union. These separatist movements should be worrisome for you, as they range from Italy, Belgium, and the United Kingdom, to France, Germany and even Norway. The historical fact is that no nation ever allowed what it considered to be a core part of its territory to peacefully break away and set up its own new country. This has always meant war, either or otherwise a brutal put down of independence hopes. Fragmenting countries do not bode well for financial and economic stability in an increasingly interconnected world. 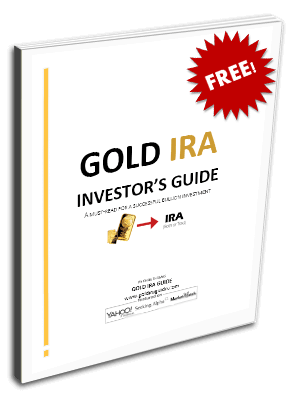 Gold makes sense in an IRA as your best weapon of defense against these rising independence movements around Europe. IRA-approved metals protect in times of market instability like nothing else. Consider the top five gold coins for investors or the top five silver coins for investors now before the fires break out in earnest. Where are the Various Independence Movements in Europe Located? These separatist movement throughout Europe stretch half-way across the cultured continent today. They include larger and smaller regions, formerly independent countries which lost their sovereignty hundreds of years ago, and even a few city-state enclaves. They are often made up of regions with severe linguistic, historic, economic, and cultural differences from the rest of the country. In today's world, Catalonia is not the only one groping for full freedom and sovereignty. In fact, an increasingly federal European center (which Macron and Merkel are only encouraging) is now watching in muted horror coupled with fascination at the forces it has unwittingly revived in areas including Wallonia and Flanders in Belgium; Bavaria in Germany; Normandy, Occitania (South France), and Brittany in France; Galicia, Catalonia, and the Basque Country in Spain; Scotland and Cornwall in the United Kingdom; and South Tyrol, Sicily, and Sardinia in Italy. The threat of these regions successfully breaking away has has been called the “nightmare scenario” for Europe in recent years. The stark and shocking truth is that today's Europeans are only a bit more attached to their home nations than they are to their hometown cities or home regions. This means that when these independence-minded regions are given an opportunity to become their own sovereign nation, and if there were no economic punishment for it, the majority of citizens would opt for it. Below we'll look at some of the more likely to gain their actual independence separatist regions of the continent, any of which could suddenly erupt into the next Catalonia. Italy has two particularly wealthy regions which remember their own glory days of independence not so long ago. These are the Veneto (Venice's province) and Lombardy. Each of them is taking inspiration from the Catalan movement by holding October 22nd referendums for independence (or at least greater autonomy) of their own. The independence drives here come from the deeply held conviction and anger that their taxpayer proceeds go to raise the economic level of the poverty stricken south of Italy. Italy's Constitutional Court took a page from the Spanish playbook by declaring the regional referendums as illegal if they ask about independence. The two regions revised their question accordingly to query whether or not the citizens wish for a greater autonomy from their national government. In Venice's defense, the city-state only joined Italy back in 1866, so it was an independent nation state and even empire for the better part of a thousand years. In the last non-binding referendum for independence in 2014, 89 percent of the voters in the Veneto chose independence. Many people are unaware of the fact that heart of the EU Belgium proves to be a dangerously divided nation along three different lines of language, culture, and community. The north of the country is the old sovereign County of Flanders where the people have a proud history and speak Flemish, a Belgian version of Dutch. The South is called Wallonia and is a French-speaking region. In the extreme east of the nation is a lessor known German speaking province. Each segment wants its independence from the other. The dominant force in the Belgian parliament is the New Flemish Alliance, a conservative and nationalist movement which advocates the gradual secession of Flanders. Next elections are slate for 2019, promising to keep the idea of independence for Flanders alive and well. Scotland is a land divided today. They most recently were legally permitted to hold their independence referendum in 2014 to “settle the Scottish question for a generation” as David Cameron, the former U.K. Prime Minister, put it. The pro-independence party lost with 45 percent of the vote opting for separation from the United Kingdom. Yet it has not stopped the still-dominant in Scottish parliament pro-independence movement the SNP Scottish National Party from pushing for yet another chance to vote on the issue. In fact First Minister Nicola Sturgeon nearly called for a second referendum in the last four years before her party took a beating in the 2017 general election that saw widespread gains for the Conservative Party. Analysts understood that this result revealed the loss of appetite for yet another Scottish referendum on independence, particularly given that the last one was not even five years ago. What makes this a unique secessionist movement is that the local people do not strictly speaking want independence. They wish instead to reunite with mother-land Austria. Italy has responded back in 1972 by offering them the status of autonomous province, which provides more local government and self-determination. This has not at all placated everyone by any means though. One of the higher profile cries for independence comes from the northeastern region of Spain, the Basque Country. This autonomous community along the northern coast possesses distinctively different language and culture. Their history of violent actions to try to gain independence is all too well known as they carried out serious terrorist acts in the guise of the ETA for decades before agreeing to a permanent ceasefire in 2010-2011. In fact the main separatist party in the area, the Basque Nationalist Party, recently opined that they hoped their region would also be given its own vote to poll the people on independence like Catalonia. Spain has not bothered to comment on the highly unlikely scenario. There is no question that some of these nascent independence drives in Europe may gain serious traction in the coming months and years. Illegal or not (most of them), they still carry the full force of democracy in action and are hard to effectively argue against or entirely shut down despite heroic national efforts to do so. At at the least, they are contributing to a higher degree of economic uncertainty which the markets abhor. Gold remains your only historically proven safe haven asset against this kind of Black Swan Event. IRA-approved gold will protect you when all other assets tank from the various geopolitical crises racking the world today.